In the past we've seen Arsenal go to Old Trafford in form, play well but somehow still end up losing the game. However, unless Manchester United really pick their game up or the Gunners hit a brick wall after their efforts against Tottenham, I just can't see how United win. I really can't! I hope Unai Emery plays the side that finished the game against Tottenham, playing two up front with Pierre-Emerick Aubameyang and Alexandre Lacazette because that will cause United all sorts of problems. 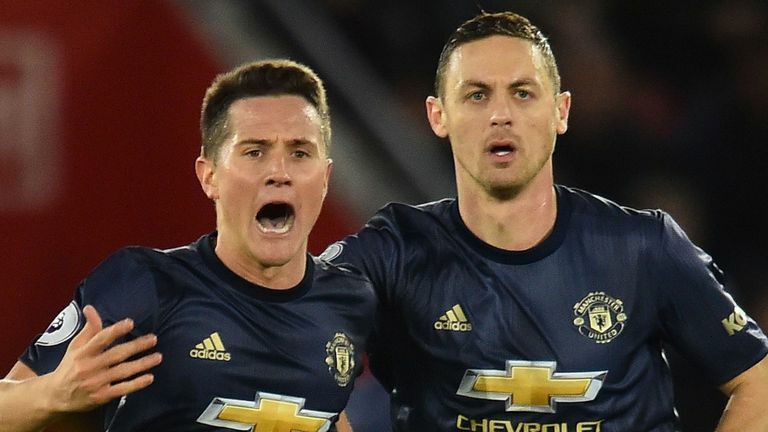 When United got back to 2-2 at Southampton on Saturday there should have been only one winner. However, they just didn't kick on and it was like they were grateful to be back level at 2-2. We've got to remember this a different Man Utd to the one we used to watch. It's the same club but the players are nowhere near in the same calibre. That's the problem and that's something we have to keep reminding ourselves. This is not the United of old and if they somehow managed to get in the top four they'd be pulling up trees. Tottenham find themselves out of the top four now and they've got to bounce back from a bad afternoon at the Emirates. It's funny how this league changes because one week we are talking about title contenders but now they are out of the Champions League places. The Premier League is ruthless! For the first 20 minutes at the Emirates, Tottenham turned up like Chelsea did at Wembley the week before. They thought they just had to turn up to win the game. They got caught cold before managing to fight back but once they got to 2-1 they thought they'd won the game again. Fair play to Arsenal in the end, who hungrier than Spurs all over the pitch. Southampton is a good game for Spurs to bounce back though. The visitors won't have a manager following Mark Hughes' sacking on Monday and it really surprises how in this era of the Premier League a team can go into a game without a boss. I don't know why Southampton kept Mark on if they knew they were going to sack him following a 2-2 draw with Manchester United. They could have just done it two weeks ago during the international break. I think they've messed this up because now you are going into a tough game without a manager and any new manager that comes in has still got to play Arsenal and Manchester City this month. You've got to worry about Southampton. It could have gone either way for Liverpool against Everton but they found a way to win. 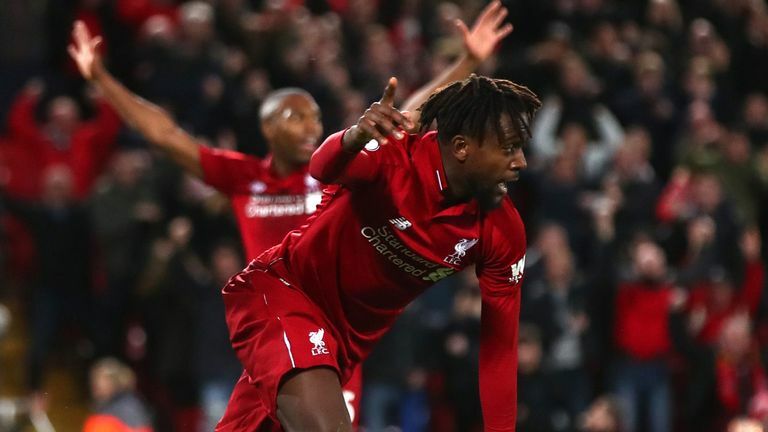 In the end it was a massive football result for Jurgen Klopp and his side. They are still behind City at the moment but who knows if we'll look back at that result in six months time and say Pickford won Liverpool the league. I can't see anything but a Liverpool win here. It's a case of damage limitation for Burnley. It shocked me the other day when Jeff Stelling said on Soccer Saturday that Burnley were the favourites for relegation. However, when they go to Palace and get beat like they did it sort of makes sense. The other teams that are losing down the bottom look like they've got a bit about them. They look like they could nick a result here or there but you can't say that about Burnley at the moment. They could have lost by eight, nine or 10 against Palace and didn't have a shot on target. I worry for them but this is where they are. They are a bottom six team really who did great last season. Normally when you play Burnley you know you are in for a hard game but I just don't see that at the moment. I see teams rolling them over and they are not being made to work hard for it at all, that's the worry. They need to start watching the old videos and get back to the Burnley of last season because they were a good team. Everton were really good against Liverpool but the error from Jordan Pickford was an accident waiting to happen. It was only a matter of time before because he's got away with a few errors recently. He's a good goalkeeper and a good shot stopper, but it's the concentration. There's got to be something wrong his concentration. Top, top goalkeepers don't do anything for 90 minutes but then they are called into action and just make a save. That's what separates the great goalkeepers from the good ones because they can all shot stop. I'm not sure what he was thinking and it's down to concentration levels. We saw it with England in Spain and we've seen on it on another couple of occasions but he's got away with it. He didn't get away with it at Liverpool and it's not because he's not a good goalkeeper, he just needs to work on his concentration. Looking at the team though, I was really impressed with their performance at Anfield and I can see them having too much for Newcastle. I watched Fulham against Chelsea on Sunday and they did alright but against Leicester they'll have to come out and win this game. However, defensively they'll just give you chance after chance and I expect Leicester to capitalise. 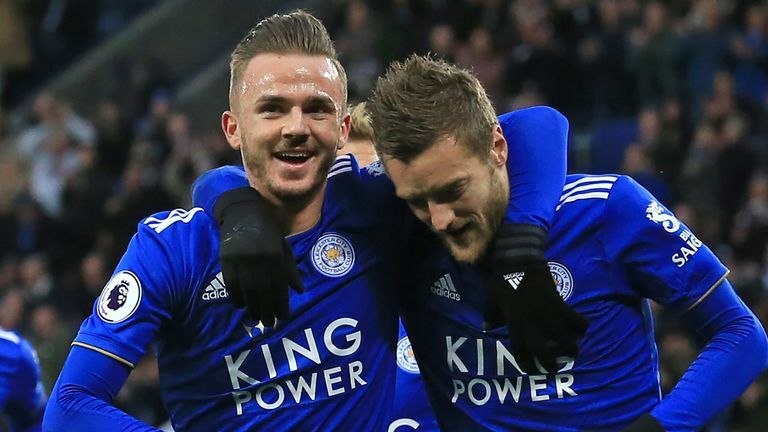 Leicester themselves didn't produce the best performance against Watford but they do possess much more of a threat than Fulham. Wolves are a funny team because they look the part. I watch them and think to myself they are a good team but they've only got one point from their last six games. That sort of form is not the sign of a good team! Teams are getting used to playing against them now and they are closing Ruben Neves and Joao Moutinho down quickly to stop them playing. 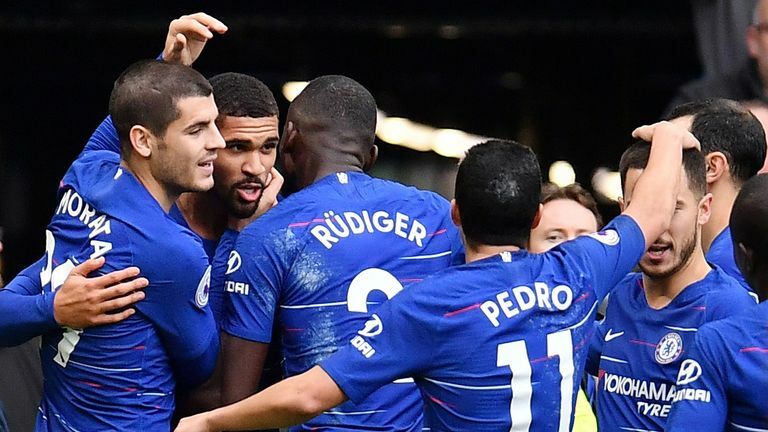 Wolves will have a go against Chelsea but I think that plays into the hands of Maurizio Sarri's side, who will pick the hosts off on a big open pitch. I watched Watford at Leicester and they probably went home wondering how they lost. They had chance after chance after chance and the worst thing is they didn't really make Kasper Schmeichel make a save. It was just bad, bad finishing. I don't see any of the teams outside the top six beating City. They weren't at their best against Bournemouth but in the end it doesn't matter because they will get you in the end. If it's not going their way, Pep Guardiola is able to bring another superstar on from the bench and turn the game. I would not be surprised if they went through the season unbeaten! Bournemouth were a bit unlucky against Man City on Saturday. They played very well and created some very good chances. They've had some tough fixtures recently and lost four on the bounce, but they've given a pretty good account of themselves and I expect them to win this game. Meanwhile, Huddersfield were flying against Brighton but they then shot themselves in the foot with the red card. I think that result against Brighton will knock the stuffing out of David Wagner's side. I was struggling to see how Brighton were going to win at Huddersfield, even when they went down to 10 men. They are not a possession football team, they don't keep the ball for long periods of the game so playing 11 against 10 is not a massive advantage. However, they found a way to win and it was a great result for Chris Hughton and his side. This is a big game for both sides. 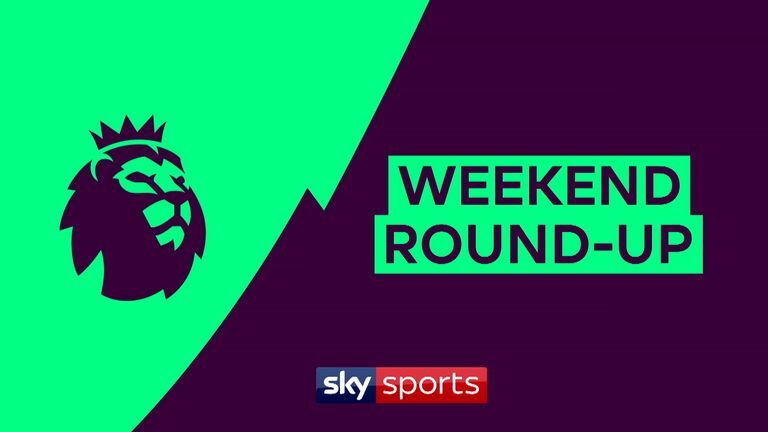 Crystal Palace also got a good result at the weekend. They played really well and should've beat Burnley by a million. However, they are never going to blow anyone away because they can't finish. It was a great result for West Ham at the weekend at Newcastle. I'd expect them to follow that up with a win against Cardiff at the London Stadium despite not usually playing great against the lesser teams. Manuel Pellegrini's side normally save their best for the bigger teams. Cardiff are not going to have a lot of possession at West Ham. I thought they worked their socks off the other night to get a superb result against Wolves. I know they get an extra day's rest but I've got to go for a home win. I don't think Cardiff will be able to live with the attacking players West Ham have.